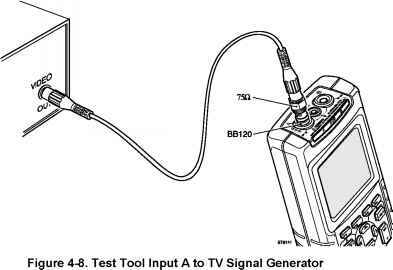 Connect the test tool to the 5500A as for the previous test (see Figure 4-7). 2. Select the following test tool setup Press to select auto ranging (AUTO in top of display). Press jKi to open the INPUT A MEASUREMENTS menu, and choose MEASURE on A CONT ))) 3. Set the 5500A to 25Q. 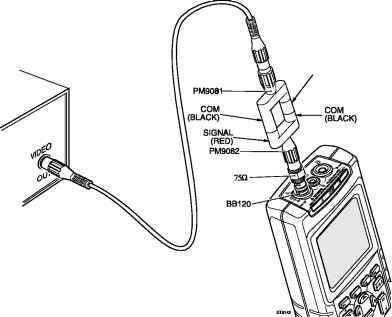 Use the 5500A COMP 2 wire mode. 4. Listen to hear that the beeper sounds continuously. 6. Listen to hear that the beeper does not sound. 7. When you are finished, set the 5500A to Standby. 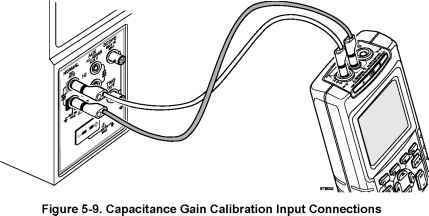 Proceed as follows to test the Diode Test function 1. 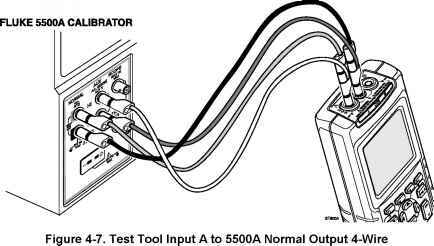 Connect the test tool to the 5500A as for the previous test (see Figure 4-7). 2. Press L J to open the INPUT A MEASUREMENTS menu, and choose MEASURE on A DIODE 3. Set the 5500A to 1 kQ. Use the 5500A COMP 2 wire mode. 4. Observe the main reading and check to see if it is within 0.425 and 0.575V. 6. Observe the main reading and check to see if it is within 0.975 and 1.025V. 7. When you are finished, set the 5500A to Standby. Proceed as follows to test the Input B trigger sensitivity 1. 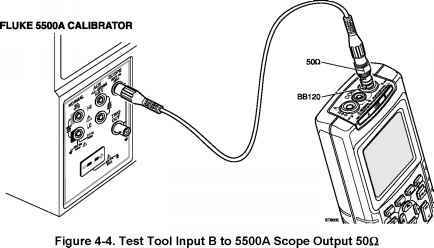 Connect the test tool to the 5500A as for the previous test (see Figure 4-4). 2. 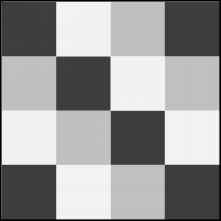 Select the following test tool setup Turn Input B on (if not already on). Press to select auto ranging (AUTO in top of display). Do not press . 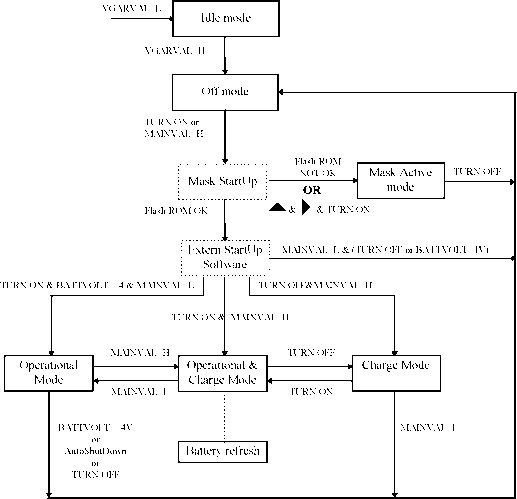 1 anymore Using ( 11_I change the sensitivity to select manual sensitivity ranging, and lock the Input B sensitivity on 200 mV div. Press IB to open the SCOPE INPUTS menu. 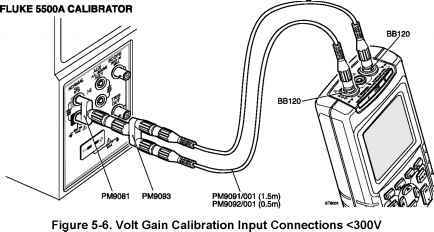 Proceed as follows to do the Zero Ohm calibration 1. Press 1 1 to select calibration adjustment step Zero Ohm (CL 0840) IDLE 2. 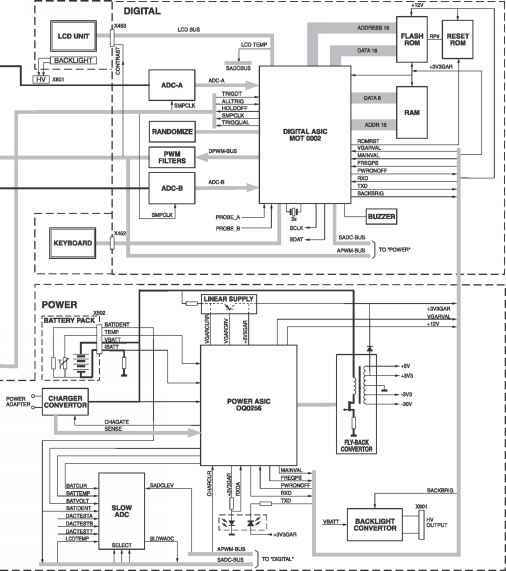 Make a short circuit between the Input A banana socket and the COM input . 3. Press to start the Ohm Zero calibration of all ranges (CL 0840 CL 0846). 4. Wait until the display shows the calibration status Zero Ohm (CL 0846) READY. 5. Remove the Input A to COM short. Set the 5500A to supply 250 mV DC. 4. Set the 5500A to operate (OPR). 5. Press 1 1 to start the calibration. 6. Wait until the display shows Cap. Low (CL 0900) READY. 7. 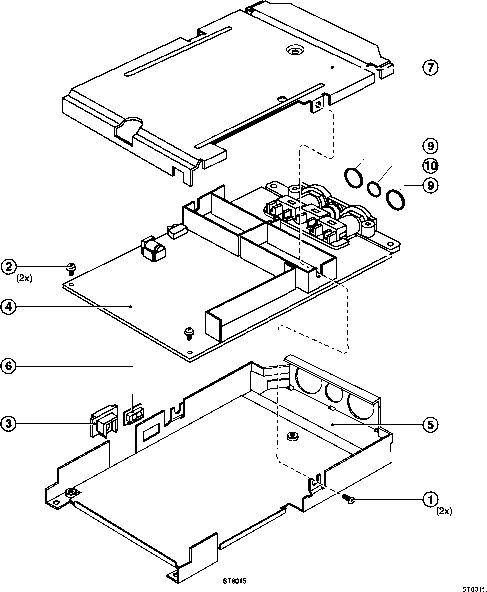 Press I 1 to select calibration adjustment step Cap. High (CL 0910) IDLE 8. 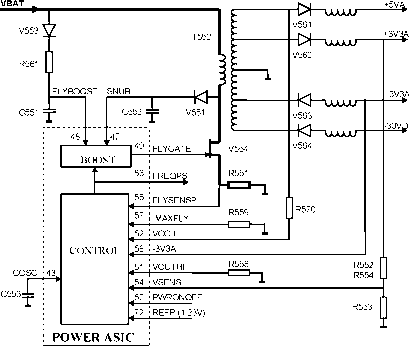 Set the 5500A to supply 50 mV DC. 9. Press 1 1 to start the calibration. 10. Wait until the display shows Cap High (CL 910) READY. 12. Continue at Section 5.6.10.